Is there anything like walking on soft, cushiony carpet at home? Carpet offers so many options, you won’t know where to begin! Luckily, we’re here to help. Colors, patterns, stain-proofing, and warranties to fit your tastes and lifestyle are a free estimate away! 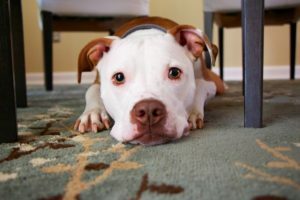 Carpet is now more long-wearing and stain resistant than ever! Porter & Porter is always ready to offer the carpet that will meet the demands of your space. 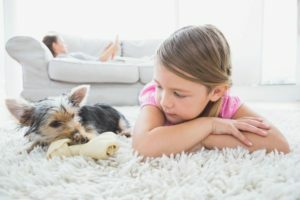 Pets, kids, craft projects, muddy shoes, food and beverage spills are not only easier to treat, but much more preventable with modern stain resistant technology! We even offer brochures and professional cleaning that will extend the life of the stain resistant treatment on your carpet. 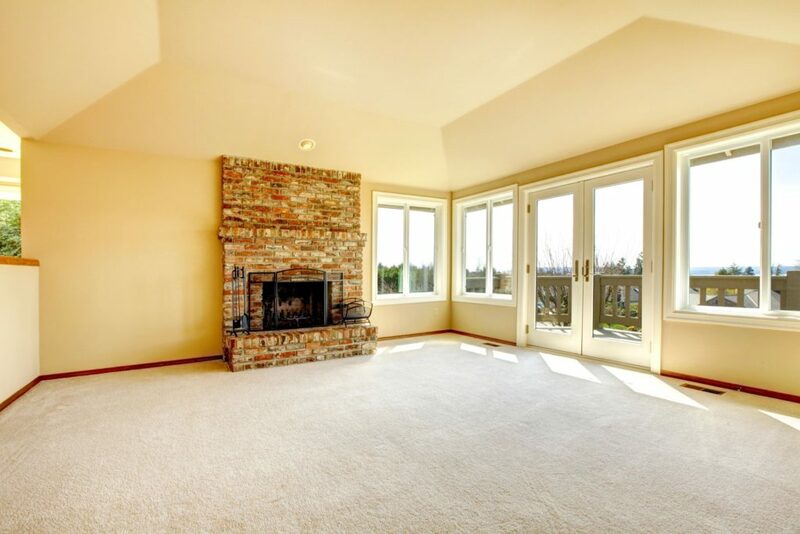 Let us know what your concerns are with carpeted floors and we’ll come up with a great match for you! Cut pile? Loop pile? What’s the difference? Carpet is made by sewing loops of yarn into material. When those loops stay intact, you have loop pile carpet, a common feature of professional environments. When those loops are cut, you have cut pile carpet, which creates a fuller, more plush effect that is preferred in homes. Patterns can be achieved with different colors, different sized loops, or a combination of cut and loop pile. Our flooring experts are carpet and padding matchmakers! They’ll find the right amount of cushion for each step you take, advising you which padding options are available for each carpet along the way. Padding can extend the life of your carpet and provides a softer, more cushioned surface to walk and sit on.